On this date in 1695, Zumbi, the last of the leaders of Quilombo dos Palmares in Brazil, was murdered (or assassinated or executed – whatever verb you prefer) by the forces of Portuguese bandeirante Domingos Jorge Velho. 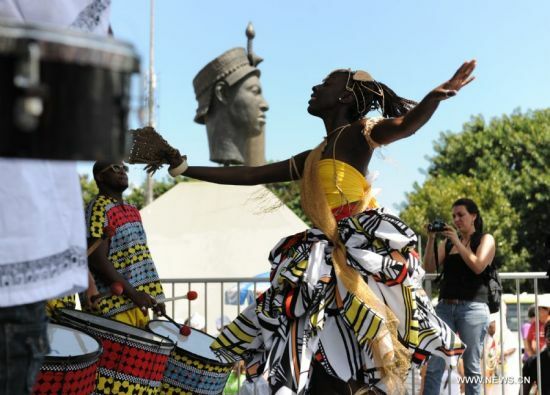 The event is now celebrated in Brazil as Black Awareness Day or Black Consciousness Day (Dia da Consciência Negra) “to celebrate a regained awareness by the black community about their great worth and contribution to the country”. Zumbi (1655 – November 20, 1695), also known as Zumbi dos Palmares, was a major freedom fighter in Brazilian history, being one of the pioneers of resistance to slavery. 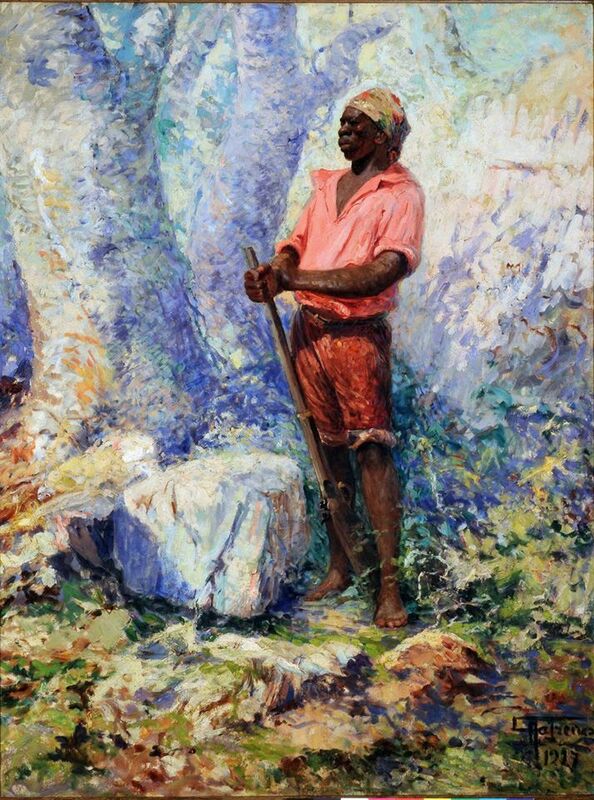 He was also the last of the kings of the Quilombo dos Palmares, a settlement of African-Brazilian people who had liberated themselves from enslavement, in the present-day state of Alagoas. Zumbi today is revered in African-Brazilian culture as a powerful symbol of anti-slave and anti-colonial resistance. 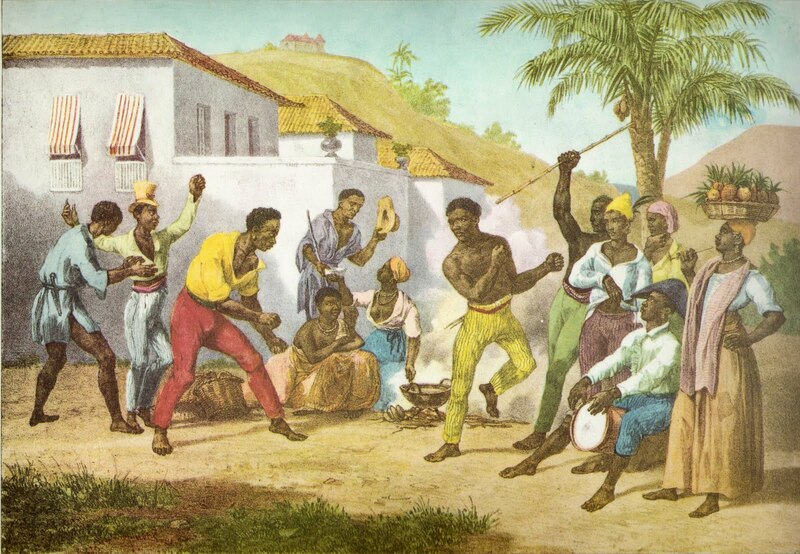 Quilombos were communities in Brazil founded by individuals of African descent who escaped slavery (these escaped slaves were commonly referred to as Maroons). 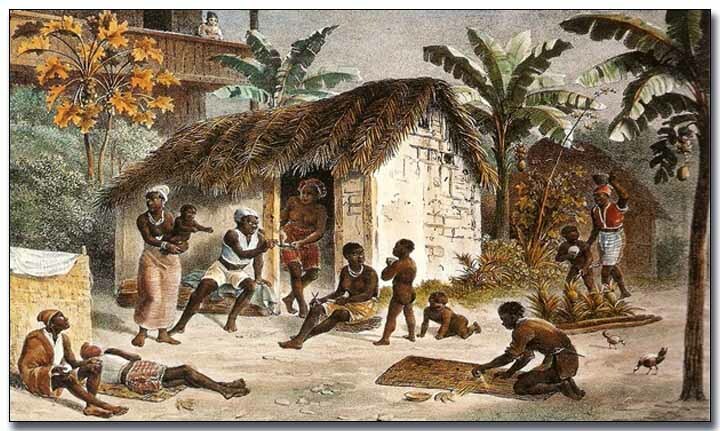 Members of quilombos often returned to plantations or towns to encourage their former fellow slaves to flee and join the quilombos. Sometimes, they brought others by force and sabotaged plantations. People who came to quilombos of their own were considered free, but those who were captured and brought by force were considered slaves and continued to be so in the new settlements. They could be considered free if they were to bring another captive to the settlement. Women were also targets of capture, and were forcibly relocated to Palmares. Some women, however, fled voluntarily to Palmares to escape abusive spouses and or masters. Men were also recruited to join Palmares and even Portuguese soldiers fleeing forced recruitment were sought out. Palmares was established around 1605 by 40 enslaved central Africans who fled to the heavily forested hills that parallel the northern coast of Brazil. Here they instituted a free settlement they called Angola janga (Little Angola), which grew to be the greatest community of escaped slaves in the Americas. Portuguese authorities called this area Palmares, due to its many palm trees, and were locked in deadly clashes with it for much of the 17th century. 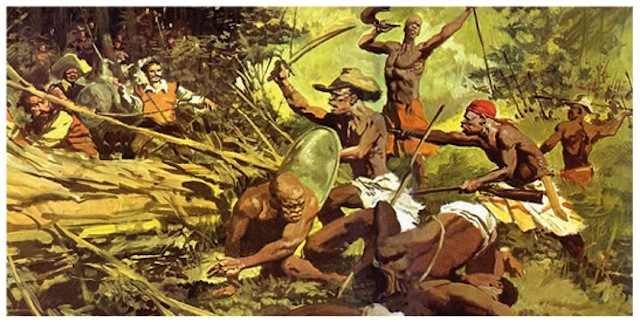 Quilombo dos Palmares was a self-sustaining kingdom of Maroons escaped from the Portuguese settlements in Brazil, a region perhaps the size of Portugal in the hinterland of Pernambuco. At its height, Palmares had a population of more than 30,000. Palmares developed into a confederation of 11 towns, spanning rugged mountainous terrain in frontier zones across the present-day states of Alagoas and Pernambuco. Palmares was an autonomous state based on African political and religious customs that supported itself though means of agriculture, fishing, hunting, gathering, trading, and raiding nearby Brazilian plantations and settlements. Zumbi’s mother Sabina was a sister of Ganga Zumba, who is said to have been the son of princess Aqualtune, daughter of an unknown king of Kongo. It is unknown if Zumbi’s mother was also daughter of the princess, but this still makes him related to the Kongo nobility. Zumbi and his relatives were of Central African descent. They were brought to the Americas after the Battle of Mbwila, which occurred in modern-day Angola. 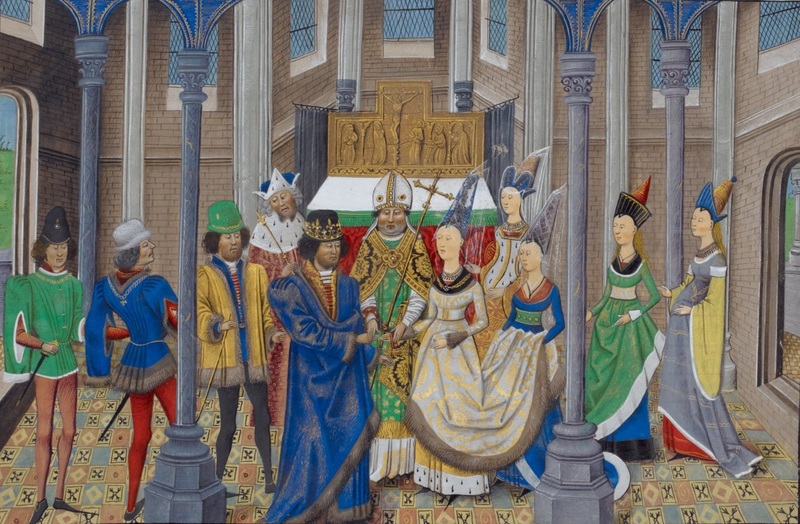 The Portuguese won the battle eventually, killing 5,000 men, and capturing the king, his two sons, his two nephews, four governors, various court officials, 95 title holders and 400 other nobles who were put on ships and sold as slaves in the Americas. It is very probable that Ganga and Sabina were among these nobles. The whereabouts of the rest of the individuals captured after the Battle of Mbwila is unknown. Some are believed to have been sent to Spanish America, but Ganga Zumba, his brother Zona and Sabina were made slaves at the plantation of Santa Rita in the Captaincy of Pernambuco in what is now northeast Brazil. From there, they escaped to Palmares. Zumbi was born free in Palmares in 1655. He was captured by the Portuguese and given to a missionary, Father António Melo, when he was approximately 6 years old. Father António Melo baptized Zumbi and gave him the name of Francisco. Zumbi was taught the sacraments, learned Portuguese and Latin, and helped with Catholic mass. Despite attempts to subjugate him, Zumbi escaped in 1670 and, at the age of 15, returned to his birthplace. Zumbi became known for his physical prowess and cunning in battle and he was a respected military strategist by the time he was in his early 20s. By 1678, the governor of the captaincy of Pernambuco, Pedro Almeida, weary of the longstanding conflict with Palmares, approached its king Ganga Zumba with an olive branch. Almeida offered freedom for all runaway slaves if Palmares would submit to Portuguese authority, a proposal which Ganga Zumba favored. But Zumbi – who became the commander-in-chief of the kingdom’s forces in 1675 – was distrustful of the Portuguese. Further, he refused to accept freedom for the people of Palmares while other Africans remained enslaved. He rejected Almeida’s overture and challenged Ganga Zumba’s kingship. In 1687 Ganga Zumba was killed by his nephew Zumbi, who sought to implement a far more aggressive stance against the Portuguese. 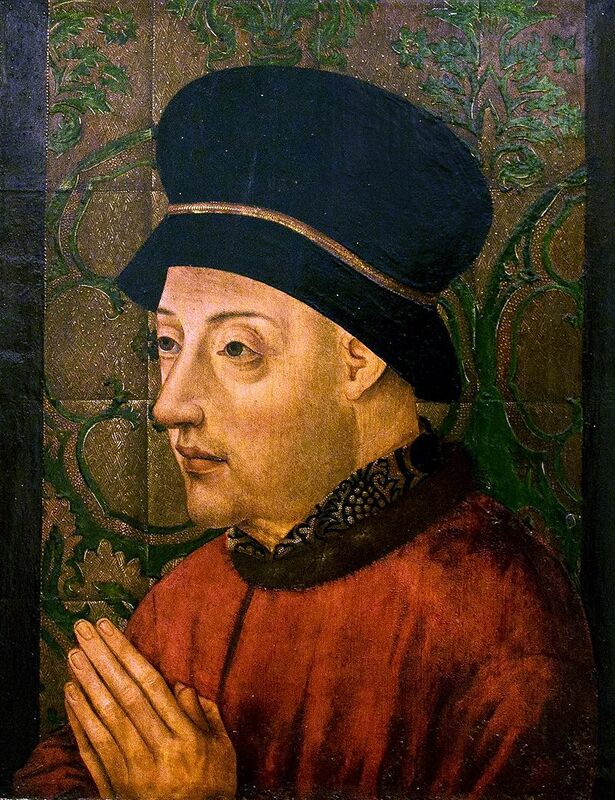 Vowing to continue the resistance to Portuguese oppression, Zumbi became the new king of Palmares. Zumbi’s determination and heroic efforts to fight for Palmares’ independence increased his prestige. However, when Zumbi gained authority, tensions with the Portuguese quickly escalated. In 1694, fifteen years after Zumbi assumed kingship of Palmares, the Portuguese colonists under the military commanders Domingos Jorge Velho and Bernardo Vieira de Melo launched an assault on the Palmares. They made use of artillery as well as a fierce force of Brazilian Indian fighters, which took 42 days to defeat the kingdom. On February 6, 1694, after 67 years of ceaseless conflict with the cafuzos, or Maroons, of Palmares, the Portuguese succeeded in destroying Cerca do Macaco, the kingdom’s central settlement. Some resistance continued, but on November 20, 1695 Zumbi was killed and decapitated, his head displayed on a pike to dispel any legends of his immortality. Although it was eventually crushed, the success of Palmares through most of the 17th century greatly challenged colonial authority and would stand as a beacon of slave resistance in the times to come. 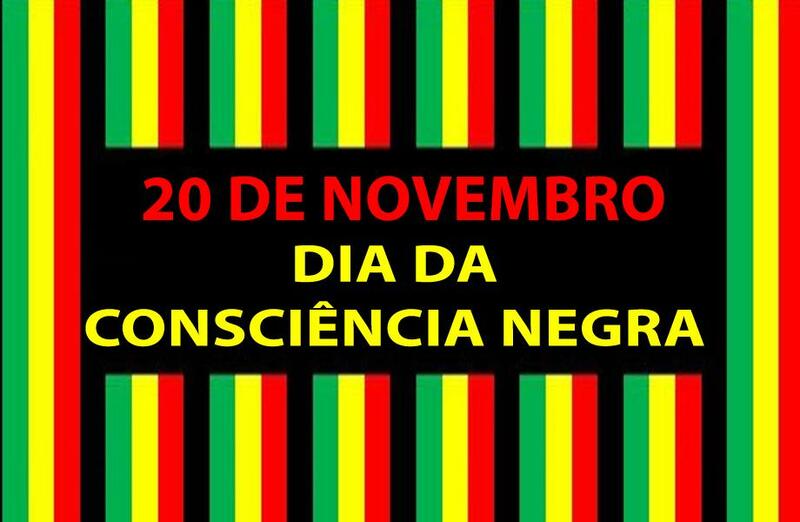 November 20th is celebrated, chiefly in Brazil, as a day of African-Brazilian consciousness. The day has special meaning for those Brazilians of African descent who honor Zumbi as a hero, freedom fighter, and symbol of freedom. Zumbi has become a hero of the 20th-century African-Brazilian political movement, as well as a national hero in Brazil. 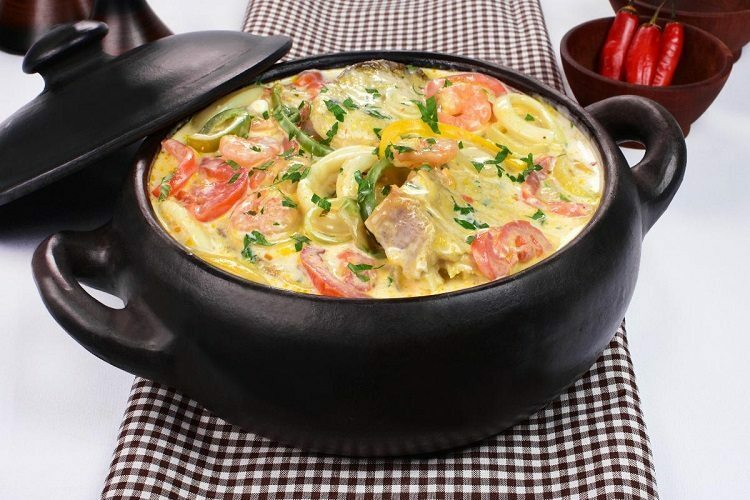 Here is a recipe for moqueca, a Brazilian fish stew with rice that is found in coastal Brazil. Place the fish pieces in a bowl, add the minced garlic and lime juice so that the pieces are well coated. Sprinkle generously all over with salt and pepper. Keep chilled while preparing the rest of the soup. For the rice: Heat one tablespoon of olive oil in a medium saucepan on medium high heat. Add the chopped ½ onion and cook, stirring, until the onion is translucent. Add the garlic and cook for 30 seconds more, until the garlic is fragrant. Add the raw white rice and stir to coat completely with the oil, onions, and garlic. Add the boiling water. Add salt to taste. Bring to a simmer, then lower the heat, cover, and let cook for 15 minutes, after which, remove from heat until ready to serve with the soup. Coat the bottom of a large Dutch oven with about 2 tablespoons of olive oil and heat on medium heat. Add the chopped onion and cook a few minutes until softened. Add the bell pepper, paprika, and red pepper flakes to taste. Sprinkle to taste with salt and pepper. Cook for a few minutes longer, until the bell pepper begins to soften. Stir in the chopped tomatoes and onion greens. Bring to a simmer and cook for 5 minutes, uncovered. Stir in the chopped cilantro. Use a large spoon to remove about half of the vegetables. Spread the remaining vegetables over the bottom of the pan to create a bed for the fish. Arrange the fish pieces on the vegetables. Sprinkle with salt and pepper. Then add back the previously removed vegetables, covering the fish. Pour coconut milk over the fish and vegetables. Bring soup to a simmer, reduce the heat, cover, and let simmer for 15 minutes. Taste and adjust seasonings. Garnish with cilantro. Serve with the rice. Today is the birthday (1882) of Georges Braque, a major 20th-century French painter, collagist, draughtsman, printmaker and sculptor — one of my all-time favorites. His most important contributions to the history of art were in his alliance with Fauvism from 1906, and the role he played in the development of Cubism. 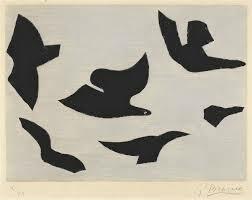 Braque’s work between 1908 and 1912 is closely associated with that of his colleague Pablo Picasso. Their respective Cubist works were in some cases indistinguishable. 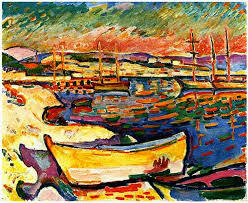 Braque was born in Argenteuil, Val-d’Oise. He grew up in Le Havre and trained to be a house painter and decorator like his father and grandfather. 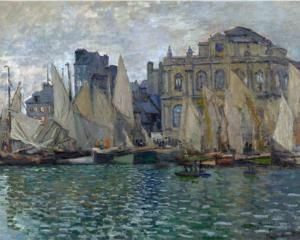 However, he also studied artistic painting during evenings at the École des Beaux-Arts, in Le Havre, from about 1897 to 1899. In Paris, he apprenticed with a decorator and was awarded his certificate in 1902. The next year, he attended the Académie Humbert, also in Paris, and painted there until 1904. It was here that he met Marie Laurencin and Francis Picabia. Braque’s earliest works were impressionistic, but after seeing the work exhibited by the artistic group known as the “Fauves” in 1905, he adopted a Fauvist style. 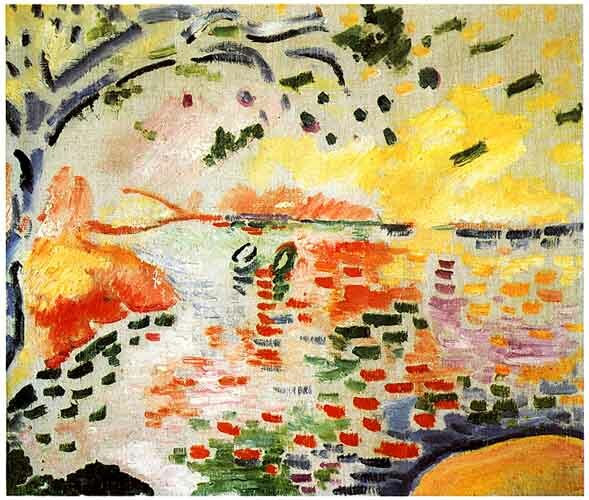 The Fauves, a group that included Henri Matisse and André Derain among others, used brilliant colors to represent emotions. 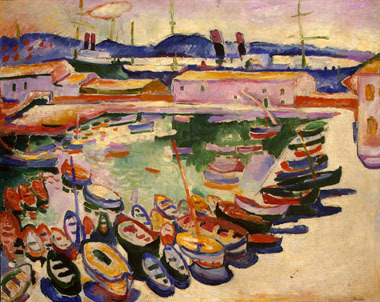 Braque worked most closely with the artists Raoul Dufy and Othon Friesz, who shared Braque’s hometown of Le Havre, to develop a somewhat more subdued Fauvist style. 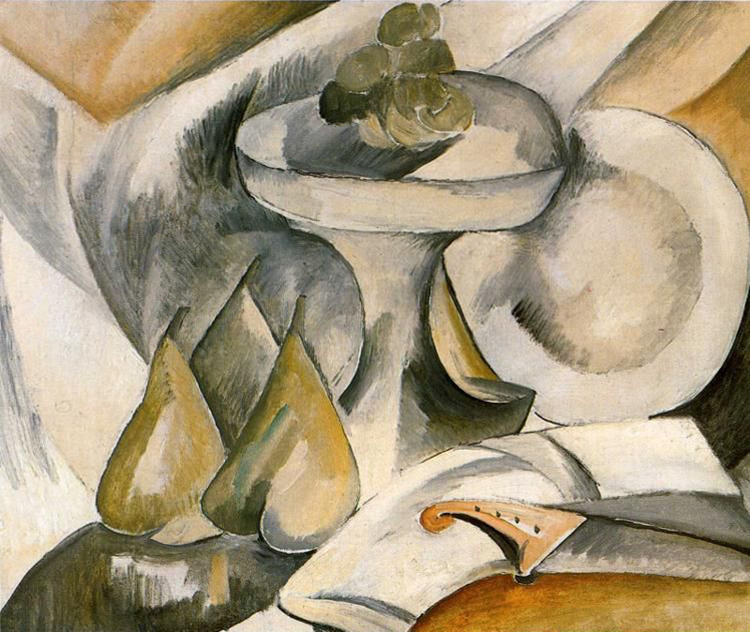 In 1906, Braque traveled with Friesz to L’Estaque, to Antwerp, and then home to Le Havre to paint. 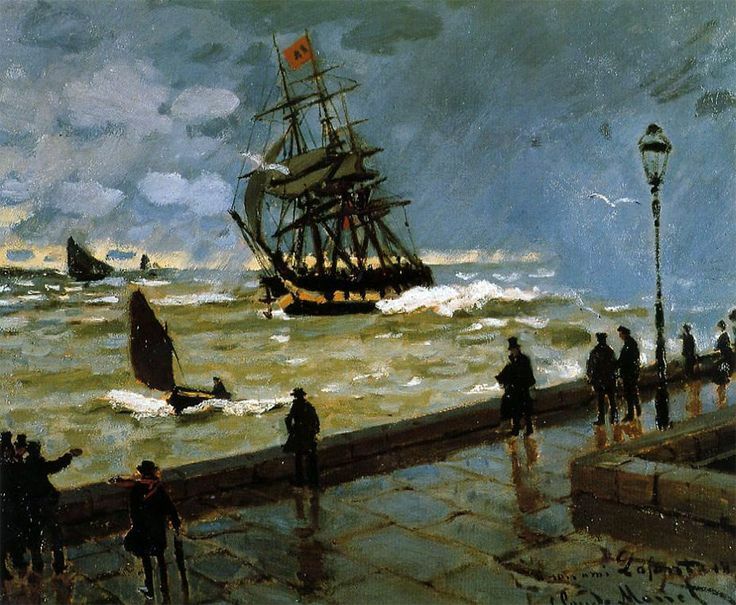 In May 1907, he successfully exhibited works of the Fauve style in the Salon des Indépendants. 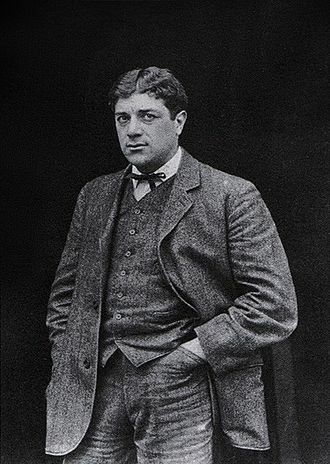 The same year, Braque’s style began a slow evolution as he became influenced by Paul Cézanne who had died in 1906 and whose works were exhibited in Paris for the first time in a large-scale, museum-like retrospective in September 1907. The 1907 Cézanne retrospective at the Salon d’Automne greatly affected the avant-garde artists of Paris, resulting in the advent of Cubism. Braque’s paintings of 1908–1913 reflected his new interest in geometry and simultaneous perspective. He conducted an intense study of the effects of light and perspective and the technical means that painters use to represent these effects, seeming to question the most standard of artistic conventions. In his village scenes, for example, Braque frequently reduced an architectural structure to a geometric form approximating a cube, yet rendered its shading so that it looked both flat and three-dimensional by fragmenting the image. Beginning in 1909, Braque began to work closely with Picasso who had been developing a similar proto-Cubist style of painting. At the time, he was influenced by Gauguin, Cézanne, African masks, and Iberian sculpture while Braque was interested mainly in developing Cézanne’s ideas of multiple perspectives. 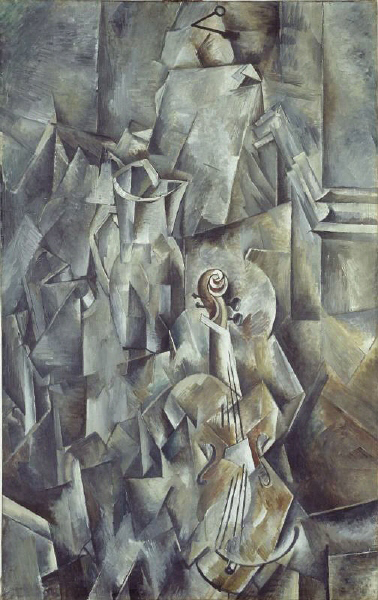 The invention of Cubism was a joint effort between Picasso and Braque, then residents of Montmartre in Paris. These artists were the style’s main innovators. After meeting in October or November 1907, Braque and Picasso, in particular, began working on the development of Cubism in 1908. Both artists produced paintings of monochromatic color and complex patterns of faceted form, now termed Analytic Cubism. A decisive time of its development occurred during the summer of 1911, when Braque and Picasso painted side by side in Céret in the French Pyrenees, each artist producing paintings that are difficult—sometimes virtually impossible—to distinguish from those of the other. 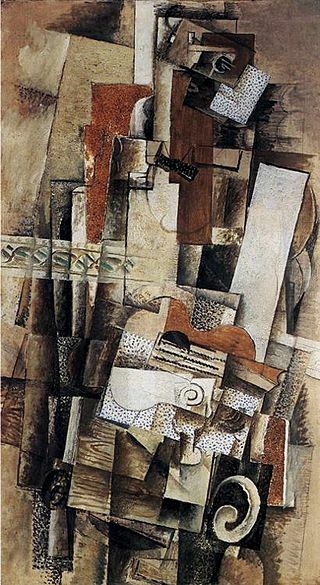 In 1912, they began to experiment with collage and Braque invented the papier collé technique. 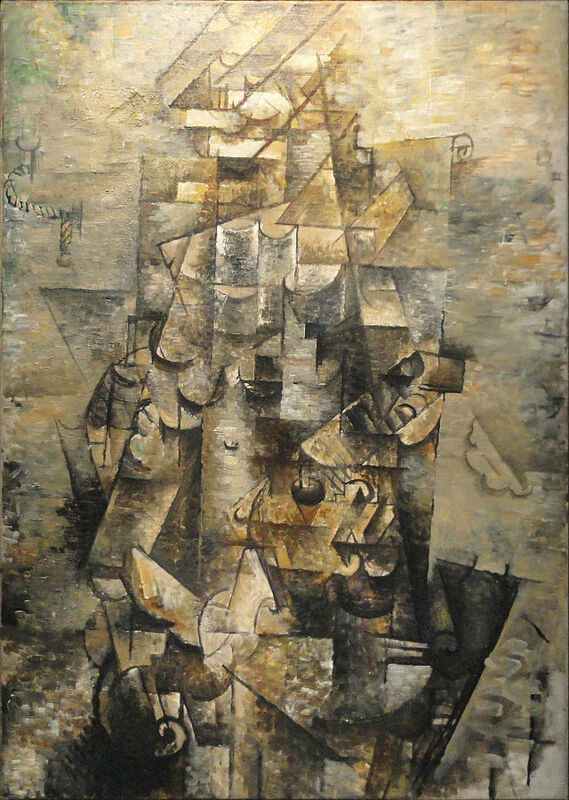 French art critic Louis Vauxcelles used the terms “bizarre cubiques” in 1908 after seeing a picture by Braque. He described it as ‘full of little cubes’. 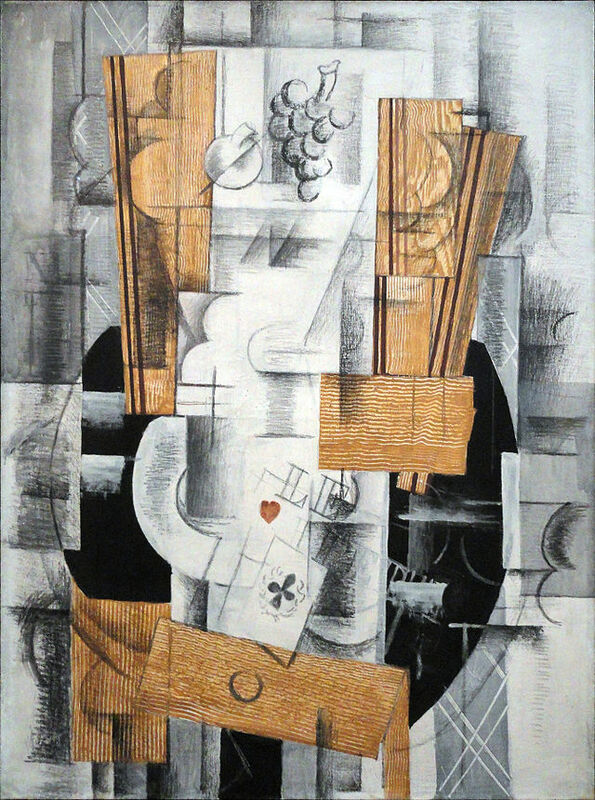 The term ‘Cubism’, first used in 1911 with reference to artists exhibiting at the Salon des Indépendants, quickly gained wide use but Picasso and Braque did not adopt it initially. Art historian Ernst Gombrich described Cubism as “the most radical attempt to stamp out ambiguity and to enforce one reading of the picture—that of a man-made construction, a colored canvas.” The Cubist style spread quickly throughout Paris and then Europe. The two artists’ productive collaboration continued and they worked closely together until the beginning of World War I in 1914, when Braque enlisted with the French Army. In May 1915, Braque received a severe head injury in battle at Carency and suffered temporary blindness. He was trepanned, and required a long period of recuperation. 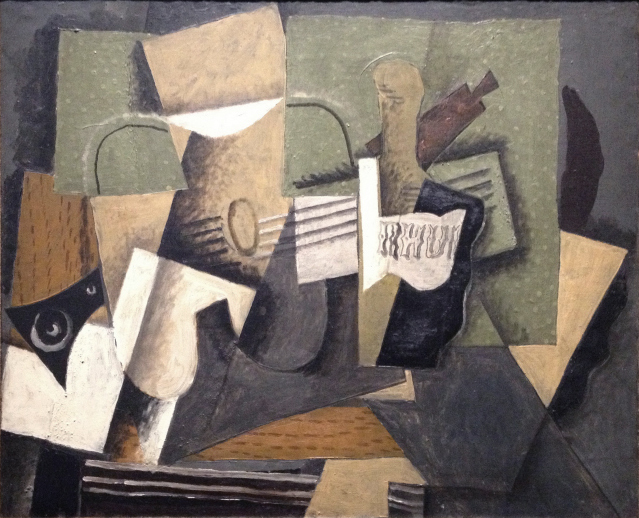 Braque resumed painting in late 1916. Working alone, he began to moderate the harsh abstraction of cubism. 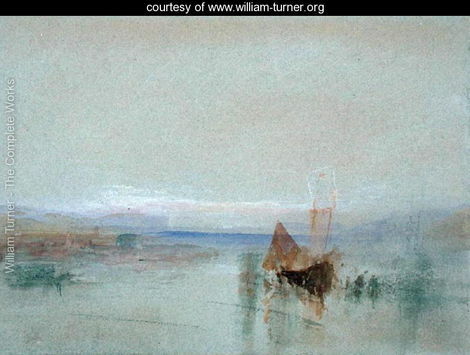 He developed a more personal style characterized by brilliant color, textured surfaces, and—after his relocation to the Normandy seacoast—the reappearance of the human figure. He painted many still life subjects during this time, maintaining his emphasis on structure. 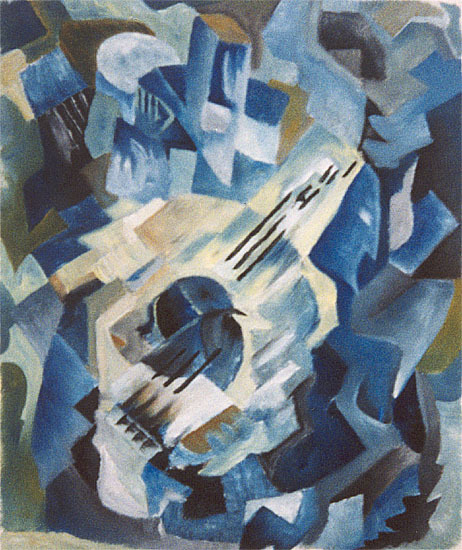 One example of this is his 1943 work Blue Guitar. During his recovery he became a close friend of the cubist artist Juan Gris. He continued to work during the remainder of his life, producing a considerable number of paintings, graphics, and sculptures. Braque, along with Matisse, is credited for introducing Picasso to Fernand Mourlot, and most of the lithographs and book illustrations he himself created during the 1940s and ’50s were produced at the Mourlot Studios. 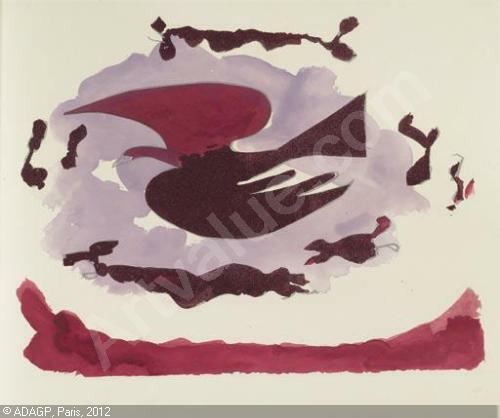 In 1962 Braque worked with master printmaker Aldo Crommelynck to create his series of etchings and aquatints titled “L’Ordre des Oiseaux” (“The Order of Birds”), which was accompanied by the poet Saint-John Perse’s text. 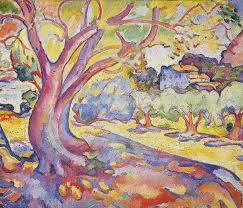 Braque died on 31 August 1963 in Paris. 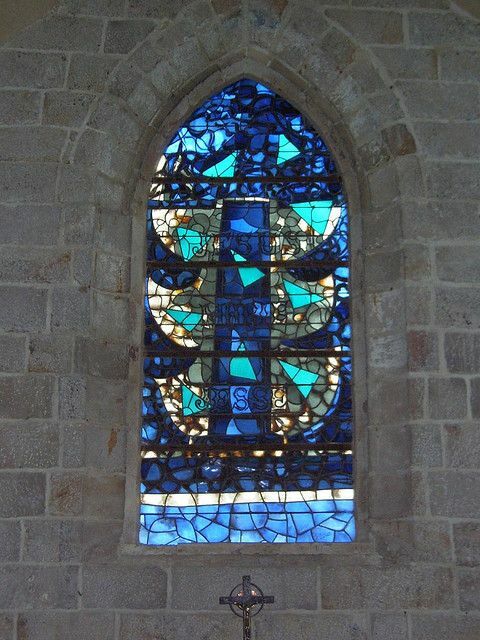 He is buried in the cemetery of the Church of St. Valery in Varengeville-sur-Mer, Normandy whose windows he designed. 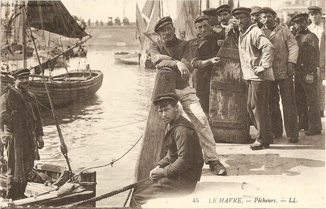 I did find a recipe for scallops Le Havre but could not discover what made them unique to Le Havre. Besides it was not particularly interesting. So, I have settled for a Normandy fish stew that I like. 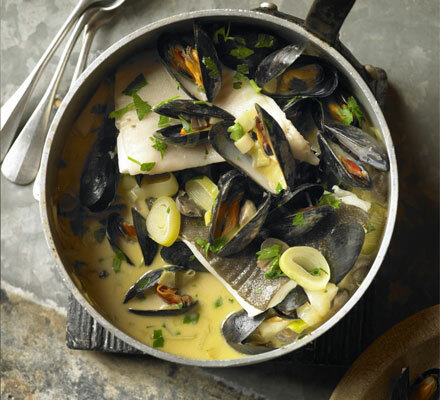 It’s a simple but creamy bouillabaisse. Scrub and de-beard the mussels. Discard any that do not close when tapped. Put the mussels and cider into a saucepan. Bring to a boil and cover. Cook for about 3 minutes or until the mussels have opened. Discard any that do not. Drain the mussels by using a sieve lined with muslin over a bowl to strain out any sand. Clean and dry the pan and place it on medium high heat. Melt the butter and sweat the leeks until soft. Add the mushrooms and cook 1-2 minutes longer. Add the mussel broth and crème fraîche and simmer to reduce by half. Add the fish and parsley, cover, and cook until the fish is just cooked through (time depends on the thickness of the fillets). Return the mussels to heat. Serve in the pot at the table, with crusty French bread.